Contents: Introduction; Part I Theorizing Justice: Two ways to think about justice, David Miller; What do we want from a theory of justice?, Amartya Sen; The structure of justification in political constructivism, Michael Buckley. Part II Justice as Equality: Equality and equality of opportunity for welfare, Richard J. Arneson; On the currency of egalitarian justice, G.A. Cohen; What is the point of equality? Elizabeth S. Anderson; Equality of whom? Social groups and judgments of injustice, Iris Marion Young. Part III The Scope of Justice: Where the action is: on the site of distributive justice, G.A. Cohen; Institutions and the demands of justice, Liam B. Murphy; On the site of distributive justice: reflections on Cohen and Murphy, Thomas W. Pogge. Part IV Left-Libertarianism: Liberty and equality, Hillel Steiner; Left-libertarianism, a review essay, Barbara H. Fried; Why left-libertarianism is not incoherent, indeterminate or irrelevant: a reply to Fried, Peter Vallentyne, Hillel Steiner and Michael Otsuka. 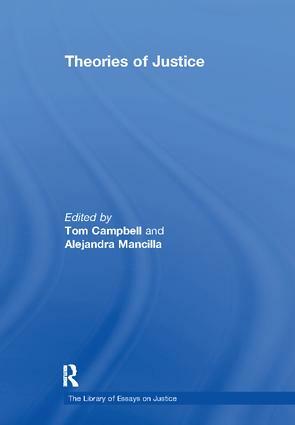 Part V Justice as Desert: Distributive justice and desert, Alistair M. MacLeod; Justice and desert in liberal theory, Samuel Scheffler; On the comparative element of justice, Owen McLeod; Equality and desert, Shelly Kagan. Part VI Feminists and Other Critics: Humanity before justice, T.D. Campbell; Justice and gender, Susan Moller Okin; The challenge of care to idealizing theories of distributive justice, Anca Gheaus; Liberal and socialist egalitarianism, Kai Nielsen. Part VII Ideal and Non-Ideal Justice: Justice in ideal theory: a refutation, Colin Farrelly; 'Ideal theory' as ideology, Charles W. Mills; What's ideal about ideal theory?, Zofia Stemplowska; Name index.